A pilot who is operating a plane without having aircraft renters insurance coverage in place is running the risk of being personally responsible for damages they may cause. In some cases, a person renting or borrowing someone else's aircraft isn't aware or doesn't think of insurance issues before they take off. A pilot operating a borrowed or rented aircraft may be personally responsible for paying for the cost of repairs if an accident occurs. The owner may look to the pilot for compensation. Another scenario that may occur is that the owner's insurance company would pay for the damages and then seek compensation from the pilot for its subrogated claim. Passengers traveling on the plane would have the right to collect damages for their injuries. Claims for medical bills and related expenses, as well as lost wages, could be made against the pilot. People injured on the ground can also seek compensation. Property owners could also look to the pilot of a rented or borrowed plane for the cost of repairs to buildings, fences, hydro poles, other aircraft, hangars, and runway lights. A pilot who is operating an aircraft without insurance will be responsible for paying for the cost of defending any legal actions personally. Having aircraft renters insurance coverage in place would save the pilot from having to pay out-of-pocket for an attorney with experience dealing with aviation matters. 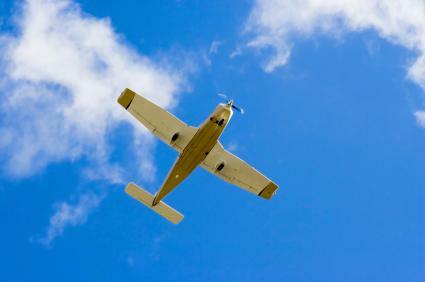 Some pilots who borrow or rent aircraft assume they are covered under the owner's insurance policy. This is not necessarily the case. Many insurance companies writing aviation insurance coverage do not provide coverage to renters or borrowers, due to the high cost of providing this protection. Even if the owner's aircraft insurance policy also covers other pilots, the person borrowing the plane may not know what level of coverage is in place while they are using it. It's possible the owner's plan may only provide a limited amount of protection for non-owners and, if the policy has lapsed, the borrower or renter has no protection at all. Pilots renting or borrowing aircraft may not realize they need to arrange for this coverage themselves. When an accident occurs, they find out that they don't have the financial protection a policy could have given them. Before you start shopping for aircraft renters insurance, take some time to think about the type of coverage you need. You will want to be sure that the policy you choose provides protection for third party liability claims so that passengers in the plane or people on the ground receive compensation for their injuries. You also want buy a policy that pays for property damage, both for the aircraft you are operating and objects on the ground. Shopping around will help you get the best pricing on your aviation insurance coverage. Each company sets its own rates for coverage and, by taking the time to consider a number of options, you can get the protection you need without having to pay more than you have to.